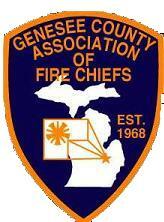 for members of those departments that hold membership with the Genesee County Association of Fire Chiefs (GCAFC). Some are closed, meaning on the course manager can registger students, and some are not. In order to encumber state fireworks funding, classes need to be register in SMOKE. The classes are listed in the table below. As the registration forms (Reg Form) become available, they will be posted on line. Would you like to contact the committee? Please send an email by clicking HERE or visit our Facebook page. CLICK HERE for the last version of the Training Committee ROG. Below are classes being offered in Genesee County. Not all classes are sponsored by the training committee (those in italics are not sponsored by the committee). Please contact the course manager for further information. ALL classes require students to register in SMOKE and complete applicable registration forms. This page was last updated on April 05, 2019 at 16:03.